I know, not many of us has the interest or keen to collect and continually maintain this kind of information. I have the hobby of keeping the general knowledge since I was in secondary school. Among them were the names of World's Head of States and Prime Ministers, names of Malay Rulers and Governors, Cabinet Ministers, Chief Ministers etc. 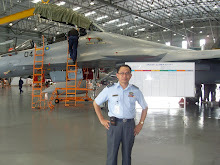 When I was in secondary school, one of my dream was to be a military officer especially air force pilot. I involved in Scouts activity because I admired with the uniform. So, at that time I could remember the name of CDF, Chief of Services and top military brass. During my cadet interview in 1978, the interviewer was surprised with my GSK. I could answer all the GSK questions such as the location of Infantry Divisions and Brigades, name of naval ships and type of RMAF aircraft. 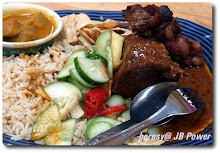 Herewith, I write down some of my archives for the 'blog readers'. I made an effort to do all these in order to fill my time with beneficial 'things' rather than creating a blog to curse, liable, lie, gossip other people or manipulating the issues. The contents will include the name of retired and current serving generals. I hope, I can find time to search more about the background of our stars. Leftenan Jeneral Tan Sri F H Brook PSM JMN psc (11 Jun 56 – 26 Okt 59). **according to some information, the appointment of Chief of Armed Forces Staff was only established in 1964 and Tunku Osman Jewa was the first CAFS. Jeneral Tan Sri Tunku Osman bin Tunku Mohamed Jewa PGAT PMN DIMP DPMK JMN PPT (1 Jan 1964 - 24 Nov 1969) - His fullname (refer to royalark.net) is Tunku Osman Khalil Shah bin Tunku Mohamed Jewa and well-known as Tunku Osman Jiwa. 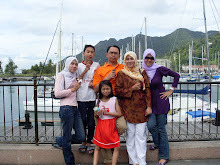 His father is the son of Sultan Abdul Hamid Halim Shah (Sultan of Kedah). He was born at Alor Setar on 24 Nov 1923. First served in Private Gloucestershire in Aprl 1942, and ttransfer to 30th Recce Regiment (RAC) in Nov 1942. Commissioned as 2nd Lt and attached to Force 136 in May 1945 and transferred to RMR on 1 Feb 1945. Promoted to Capt (1955), Lt Col (Jul 1958), Col (May 1960), Brig Gen (July 1961), Maj Gen (Sep 1962), and Lt Gen (Jan 1964). Appointed as COAS in Jan 1964 and promored to General on 1 July 1966. He retired on 23 Nov 1969 and died on 19 April 1994 at the age of 75. Jeneral Tan Sri Abdul Hamid bin Bidin PGAT PSM SPMK DIMP DPMK JMN PMP PPT PJK psc (25 Nov 69 – 30 Jun 70) - He was born in 1918 and died in 1995. Setelah bersara beliau dilantik menjadi Duta ke Holland dan kemudian dilantik menjadi Ahli Dewan Negara (Senator). Jeneral Tun (Dr) Ibrahim bin Ismail PGAT SSM PMN PSM SPMJ SIMP DPMJ JMN HonD(Mgmt)(UUM) psc (1 Jul 70 – 30 Nov 77). More information about Tun Ibrahim -please read under the topic of 'Anak Johor Yang Tersohor 1"
Jeneral Tan Sri Mohamad Sany bin Abdul Ghafar PGAT PSM SPMP SPSK DPMS JMN JMK SMK psc (1 Dis 77 – 19 Jan 81) - Semasa berpangkat Lt Jen, beliau pernah menjadi Duta ke Holland. Dua orang anak beliau kini sedang berkhidmat dalam ATM dan berpangkat satu bintang, iaitu Brig Jen Dato Shahrany (TDM) dan Laksma Redza (TLDM). Seorang lagi anak beliau yang berkhidmat sebagai juruterbang TUDM (Kapt (B) Nazly Shah) telah menamatkan perkhidmatan dalam pangkat Kapten. 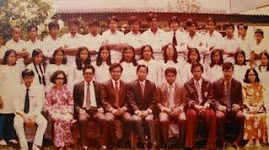 (extra note: I first attended the officer cadet interview for TJP37 (in Kem Majidee, JB) together with Shahrany and Akhtar Zainudin (retired RMAF Colonel) in May 1978). Jeneral Tan Sri Mohd Ghazali bin Mohd Seth PGAT PMN PSM SPMJ SIMP PNBS DPMJ JMN SMJ PPC psc (20 Jan 81 – 31 Okt 85). 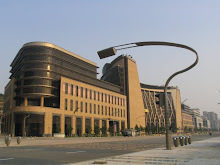 Setelah bersara beliau pernah dilantik menjadi Ahli Dewan Negara (Senator). Jeneral Tan Sri Mohamed Ghazali bin Hj Cik Mat PGAT PMN PSM SPTS DPMJ DPTS JSM ADK PGB psc (1 Nov 85 – 5 Okt 87). Jeneral Tan Sri Hashim bin Mohammad Ali PGAT PMN PSM SPMS SIMP SPMJ SPTS DPMS DHMS DSNS DSDK KPMT JMN SMS AMN FBIM ndc psc (6 Okt 87 – 10 Apr 92). Jeneral Tan Sri Yaacob bin Mohamed Zain PGAT PMN SPTS SPKK DPSK DSDK JMN ADK PJK jssc psc (11 Apr 92 - 2 Mac 93). Jeneral Tan Sri Abdul Rahman bin Abdul Hamid PGAT PMN SPTS DMPN DPTS PAT JMN PMP psc (3 Mac 93 – 31 Jan 94). Jeneral Tan Sri Borhan bin Ahmad PGAT PSM SPKK DPMJ DSAP DPKK JMN JSM SMP PSK DSM ADK KPK psc (1 Feb 94 – 2 Feb 95). Jeneral Tan Sri Ismail bin Omar PGAT PMN PSM PSAT SPTS SPMJ SIMP DHMS DSNS PAT JMN KMN AMN ndc psc (3 Feb 95 – 31 Dis 98). Jeneral Tan Sri Mohd Zahidi bin Zainudin PGAT PMN PSM SPTS SSAP SJMK SPKK DHMS SSDK PNBS SPDK DPTS PAT JSD PMP KAT AMN AMK ndc jssc psc (1 Jan 99 – 28 Apr 05). 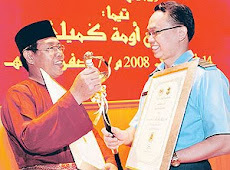 Laksamana Tan Sri (Dr) Mohd Anwar bin Mohammad Noor PGAT PMN PSAT SSAP SSIS SPTS DHMS DCSM SJMK PSD DPMS DPTS DSAP PAT JSM JSD PMP KAT KMN BKT PPA MEBM jssc nsc (29 Apr 05 – 31 Jan 2007) - awarded with Honorary Doctor in Management bu the Universiti Malaysia Terengganu. 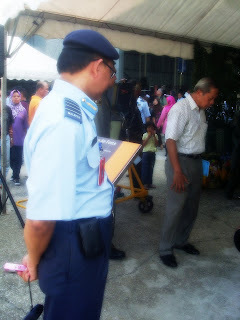 Jeneral Tan Sri (Dr) Abdul Aziz bin Hj Zainal PGAT PMN PSM PSAT SSAP DHMS DGMK SPTS SPTJ SPKK DSAP DIMP DSDK PAT JMN KAT KMN AMN PNBB MMgt(AIM) mpat psc (1 Feb 2007 – 31 Ogos 2009)-awarded with Honorary Doctor in Management by Universiti Teknologi Tun Abdul Razak (UNITAR). Setelah bersara, dilantik menjadi Duta ke Peranchis. Jeneral Tan Sri Dato Sri Hj Azizan bin Ariffin PGAT PSM PSAT SSAP SPTS DHMS SIMP DSAP DSDK PAT JMN JSD KAT PJM PPS PPA ndc psc TUDM (1 Sep 2009 –kini). More information about Tan Sri Azizan under the topic of 'The History of RMAF'. Jeneral Tengku Osman Jewa (Tan Sri)- anak Melayu pertama yang dilantik menjadi Panglima Tentera Darat dan Panglima Angkatan Tentera. Jeneral Ibrahim bin Ismail (Tun)- satu-satunya Panglima Angkatan Tentera yang bukan dari Panglima Perkhidmatan. Bekas PAT yang pertama mendapat gelaran Tun. Jeneral Azizan bin Ariffin TUDM (Tan Sri)- Panglima Angkatan Tentera yang pertama dari perkhidmatan TUDM. Mejar Jeneral Dato' F H Brook (11 Jun 56 – 26 Okt 59). Leftenan Jeneral Tan Sri J N Rodney Moore (27 Okt 59 – 4 Sep 62). Mejar Jeneral Dato' Tunku Usman bin Tunku Mohamed Jewa (5 Sep 62 -31 Dis 63)- then became the 1st Malaysian be a Chief of Armed Forces Staff or PAT - deceased. 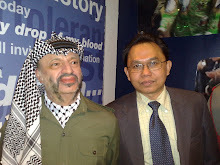 Leftenan Jeneral Tan Sri Hj Mohamad Sany bin Abdul Ghafar (1 Jul 75 – 30 Nov 77)- then he became 3rd PAT. Jeneral Tan Sri Md Hashim bin Hussein (1 Jan 99 – 31 Dis 02)- setelah bersara dilantik menjadi Duta ke Pakistan. 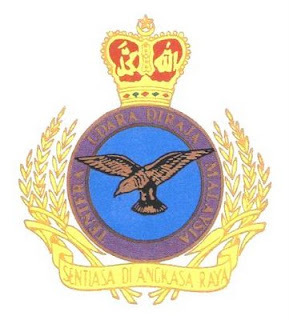 Laksamana Madya Dato Mohd Zain bin Mohd Salleh (1 Jan 77 – 31 Jan 86)- deceased. Setelah bersara, telah dilantik menjadi Pesuruhjaya Tinggi ke New Zealand. Laksamana Muda Thanabalasingam (Tan Sri)- anak Malaysia pertama menjadi Ketua Turus Tentera Laut. Laksamana Mohd Zain bin Mohd Salleh (Dato')- anak Melayu pertama menjadi Ketua Turus Tentera Laut. Soooooo many stars and ex-stars in the Army.... 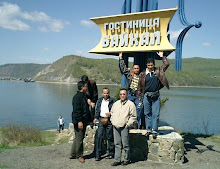 I think, after the Army been established since 1933, the number of their generals came out more than a thousand. Therefore (unless i got to go to JRP for months of research), I could not recall their name... hereby, I listed down whoever I could remember (from note and memories). To shortcut the list, the formulae will be; First... read the list of PAT (above), then read the list of PTD, then list of KS Markas ATM, Panglima MAB, KPPK, KPPP, AKSPA etc.... over there, you could already find more than 100 of army generals...., I hope; to my Army counterparts who read this blog and find out any left out names, please do not hesitate to email me. Jen Tan Sri Abd Hamid Bidin (B) - deceased -he became a Senator for 2 terms after his retirement. 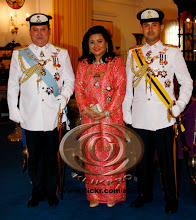 Jen Tan Sri Ungku Nazarudin (B) - he become the Ambassador to the Netherlands after his retirement. 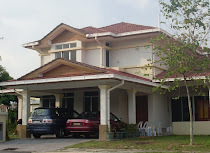 Jen Tun Ibrahim bin Dato' Ismail (B). Jen Tan Sri Hj Mohd Sany bin Abd Ghaffar (B) -he became the Ambassador to the Netherlands prior to his appointment to PTD. Jen Tan Sri Ghazali bin Dato Mohd Seth (B) - he became a Senator after his retirement. Jen Tan Sri Hashim bin Mohd Ali (B)- Freddy - he became the CEO of SUKOM after his retirement. Jen Tan Sri Abd Rahman bin Abd Hamid (B) - once became the Acting Governor of Penang during the illment of the TYT Tun Hamdan. Jen Tan Sri Aboo Samah bin Aboo Bakar (B) - personal to holder for his appointment of UNPK in Somalia. The first MAF officer promoted to General outside the MAF organisation. Jen Tan Sri Mohd Hashim bin Hussein (B) - once became High Commissioner to Pakistan after his retirement. Laksamana Tan Sri Mohammad Anuar bin Mohd Noor (B) - the first Chief of Navy became the Chief of Defence Forces. Laksdya Dato' Mohd Zain bin Mohd Salleh (B) - deceased - he became the High Commissioner to NewZealand after his retirement. Tan Sri Abd Rahman bin Hashim (1 Feb 73 - 7 Jun 74) - he was shot died by the Communist Terrorist agent. Tun Mohd Hanif bin Omar (8 Jun 74 – 15 Jan 94) - the longest serving IGP- so far.